Concrete is a strong, durable material. It’s no wonder it’s frequently used in construction projects, from foundations and sidewalks to concrete driveways and pool decks. 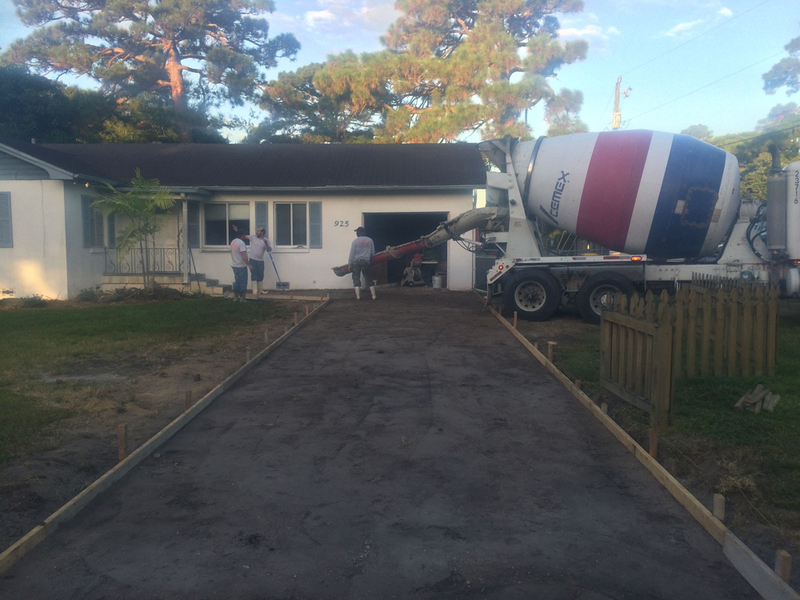 To ensure that your project takes advantage of all the benefits concrete has to offer, work with an experienced Titusville concrete contractor. A skilled concrete contract not only understands the material but also knows the best way to approach a project. With 18 years of concrete experience, Brevard Concrete Paving, Inc. has show time and again how efficient and effective we can be. Our expertise shines through one each project, from how we grade and craft forms to the high-quality finish we deliver. One area where our expertise is easily visible is on concrete driveway projects. A good driveway requires planning. Not only does it have to support your car or other vehicles, it also needs to last for years to come. A driveway should look good and be a pleasure to drive on. Because of this, it’s important to hire a knowledgeable concrete contractor to ensure your driveway project is a success. Planning: Before any concrete is poured, it’s necessary to have a plan. For a driveway, this entails knowing the measurements and shape the finished driveway will take. Some homes feature a straight driveway that goes directly from the street to the garage. Others utilize a curved driveway with separate entrance and exit points. There are a variety of different styles and shapes to suit a homeowner’s needs. Prepping: To prepare a site for concrete, it’s necessary to remove all obstacles out of the way and to level the land. First, the driveway is measured out according to the plans and markers are placed. 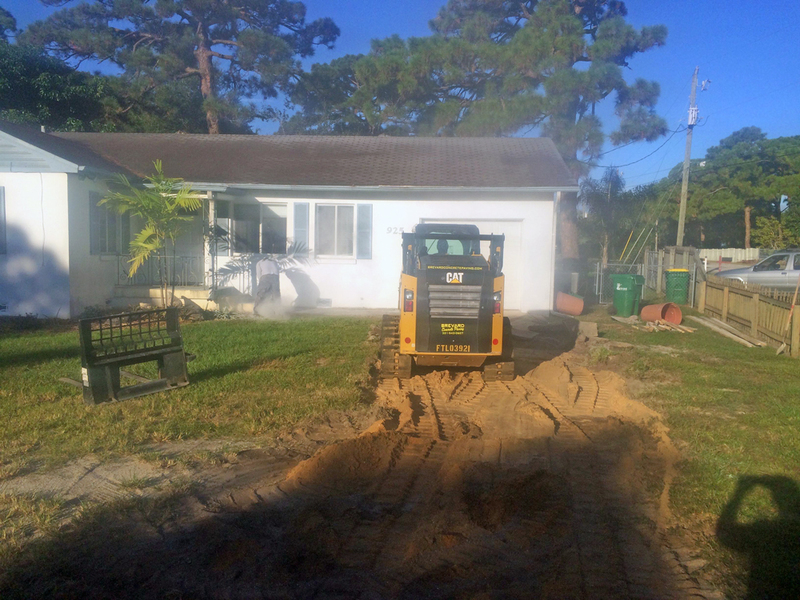 Any topsoil, rocks, old concrete, and plants are then removed from the site and the land is compacted and graded. We then create a form to hold the concrete. To work well, it must be strong enough to hold the weight of the concrete and well-built so that it properly shapes the concrete. A form that is not built well is a disaster waiting to happen. Bending or buckling of the form can lead to curved edges instead of straight edges or to concrete pouring out of the mold. Pouring: If needed, we line our concrete project with steel mesh or rebar to strengthen and support it. We then pour concrete into the form and finish the top as per our client’s wishes. 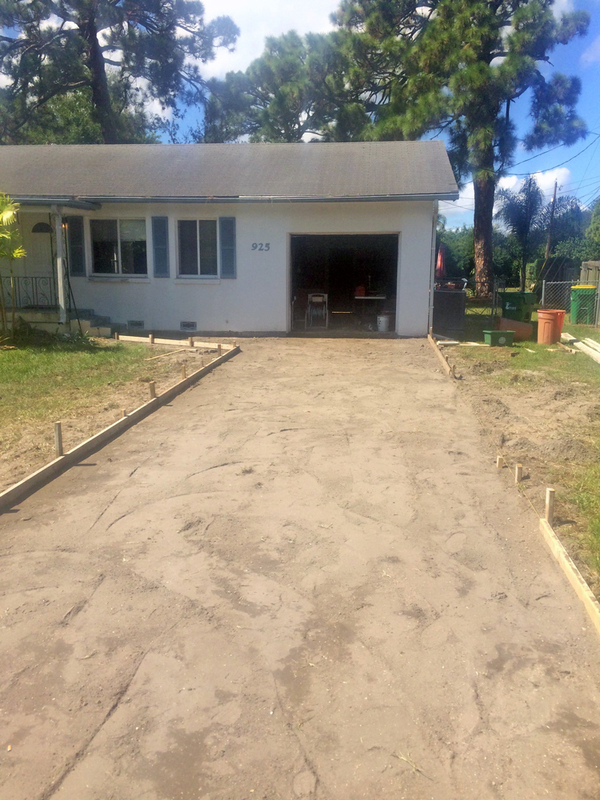 Once the concrete is dry, the form is removed to reveal a completed driveway. 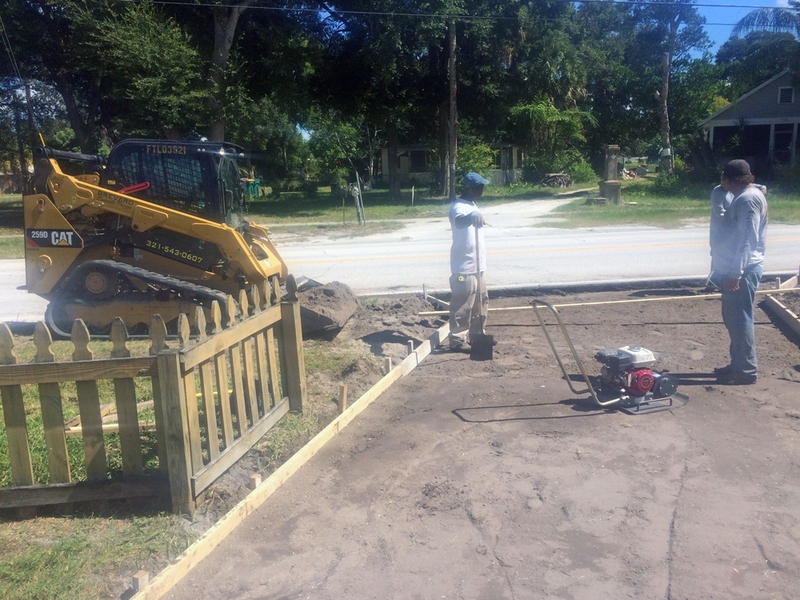 Whether you’re in need of a new concrete driveway for your home, sidewalks, or a beautiful new concrete patio, Brevard Concrete Paving, Inc. can help. 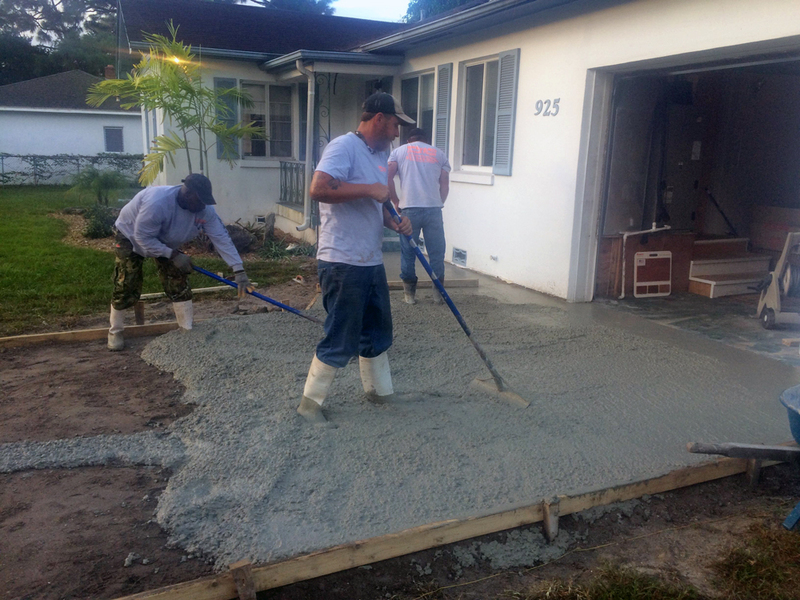 We have 18 years of experience pouring concrete for a variety of residential and commercial projects in Brevard County. 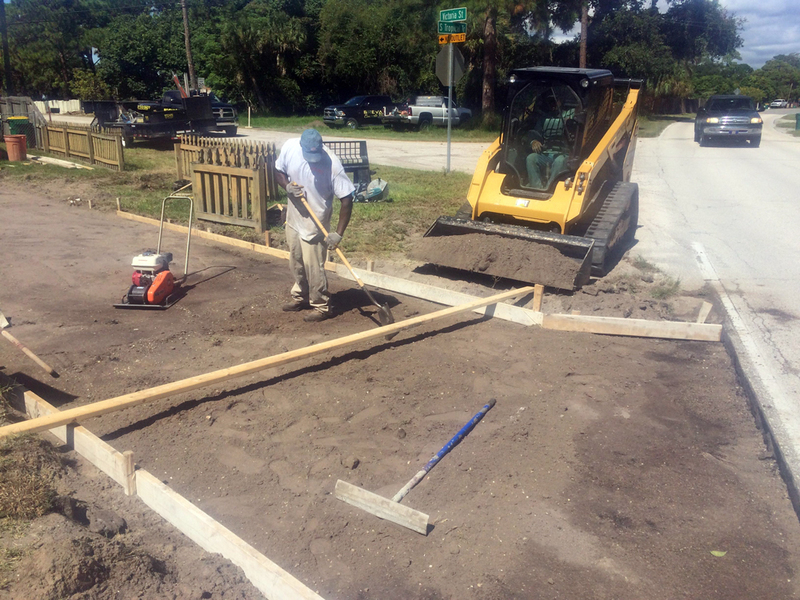 We understand the tools and materials necessary for long-lasting, high-quality concrete projects that withstand the Florida elements. 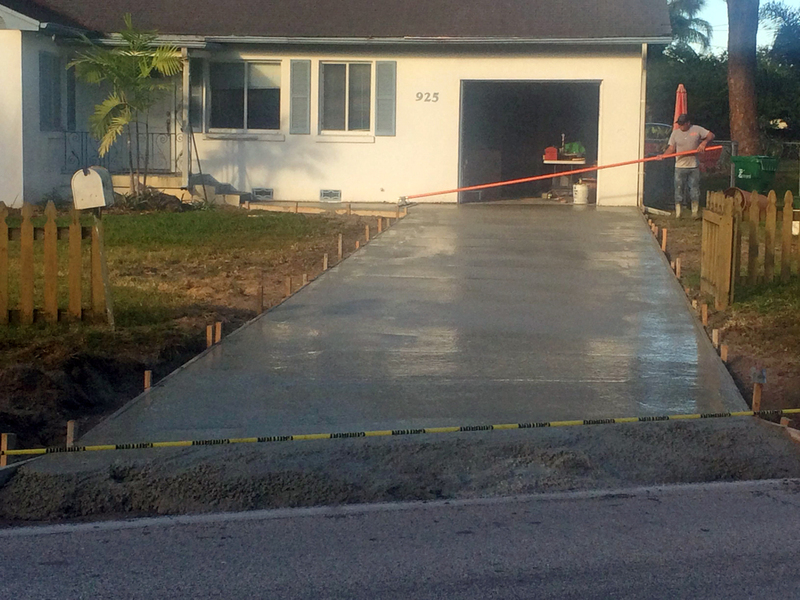 Brevard Concrete Paving, Inc. is a licensed and insured Titusville concrete contractor that is committed to quality. 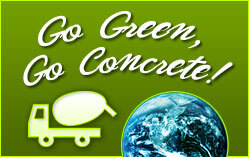 Contact us today for a free estimate on your concrete project.